Françoise Hardy Remains France's National Treasure Françoise Hardy is an immediately recognizable face who also possesses a poetic way with words — launching her to European super-stardom in the 1960s. At age 74, Hardy released her 28th album. "It's one of the things which make me really happy, and if a musician offers me a beautiful melody I cannot resist," Françoise Hardy says. Mick Jagger and David Bowie gushed over her. Bob Dylan composed a poem about her and refused to continue playing during one Paris concert unless she was in the audience and visited him backstage. Francoise Hardy is a 1960s French pop icon who more than 50 years later is still making music. At the age of 74, she's not slowing down yet. Hardy has released her 28th album. 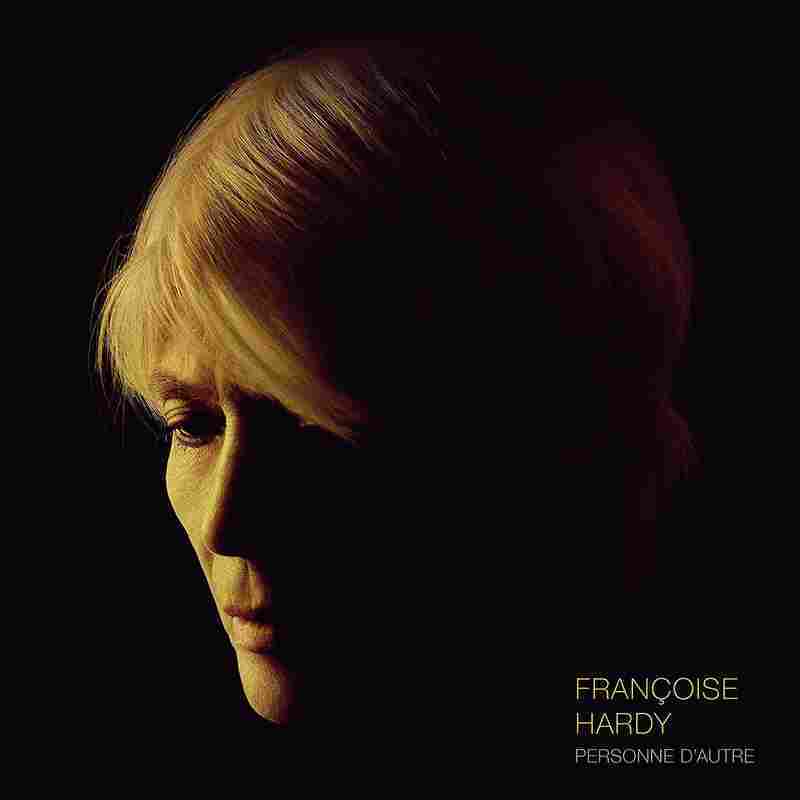 Hardy's latest work, Personne d'Autre, available now, is the artist's best-selling album yet, coming close to Gold status in France. Hardy first burst onto France's music scene in 1962 with a song she wrote called "Tous les Garçons et les Filles" ("All the Boys and Girls"). The light-hearted track about never knowing love sold millions of records in France and even climbed up the UK Singles Charts. All the boys and girls my age walk hand in hand in the streets two by two" she sang, "but not me, I go alone." Hardy was just 19 years old when the song made her a star. Peering out from beneath bangs and long brown hair at the time, she exuded a shy, wholesome innocence. One of the most famous musicians of Yé-yé generation, so called for imitating the 'yeah, yeah, yeah' of The Beatles, Hardy was tall and slim and wore the latest fashions. She appeared on Paris Match and other magazines so frequently that she became the international cover girl of the 1960s. Now at 74, Hardy has the same angular, handsome features. She wears her now-white hair short, but the elegant style she exudes in person and in her music remains unchanged. "During my whole life, I've always written about the same subject because songs, for me, are love songs, sentimental songs," Hardy explains. "And trying to find another way to write about that, it's difficult after fifty years." Fifty years later Hardy is no longer writing about being alone, but looking back with nostalgia on a life she says was happy and full of love. She married the love of her life, Jacques Dutronc, another famous French singer, and the two had a son together, Thomas Dutronc, who is also a musician. Though the couple no longer lives together, they remain married and in contact. "At my age — I'm already 74 — I remember all the good moments I had," she says. "Of course the best years of my life were with my husband and son. His birth, for instance, and the love between us were the best things that happened to me in my private life so I remember it quite often and of course I feel nostalgic." While other French singers from Hardy's Yé-yé generation were a flash in the pan, she has endured because she was different Jean-Pierre Pasqualini says. Pasqualini hosts a televisionshow on Melody TV network devoted to oldies music and says it's this difference that allowed Hardy to become an international sensation. "She had very poetic lyrics," Pasqualini explains. "It was teenage poetry, it's not Shakespeare. But it was enough to be different and she was the only one who had a career in England. She was at the top of the pops. She translated American songs, Italian songs. And she wrote herself. It was very important because the other Yé-yé girls didn't write anything." Hardy was influenced by British pop long before she ever crossed the Channel. She fell in love with it listening to the radio while growing up in post-war Paris. "I listened to a British radio station called Radio Luxembourg. Radio Luxembourg, your station of the stars," she says, laughing, "And so I heard for the first time Elvis Presley, Cliff Richards, The Shadows, Brenda Lee, young artists like that. Neil Sedaka. And I had no interest for anything else than this kind of music." Hardy had no formal training. Her largely absent father gave her a guitar when she passed her baccalaureate exam and graduated from high school. Hardy began writing songs obsessively with only a few chords. Hardy laughs about her first recordings and admits her songs and her limited voice have taken her further than she ever expected to go. She says her singing began to sound better when she went to London to record, soon after her debut. For the first time, she was working with professional musicians and producers. "It was carrying me," she says. "It's much easier to sing when you have something good musically to back you up." lay themselves on their books, boats. A new generation of fans and critics continues to discover Hardy and connect with her music. Thirty-five-year old singer Clara Villegas adapted one of Hardy's songs for her band, Exotica, and says she became interested in Hardy after reading her autobiography. "Reading about Hardy's life made me curious about her music so I went to discover her art," Villegas says. "I really enjoyed her lyrics, which were so personal." Hardy's forté has always been her lyrics. Top songwriters and musicians now send her their best melodies to imbue with meaning. Personne d'Autre showcases this talent with melodies from famous songwriters like Michel Berger, Yael Naim and La Grande Sophie. Hardy collaborated with La Grande Sophie on the song "Le Large" ("Sail Away"). On the track, Hardy sings of heading out to sea peacefully for the last time, and with no regrets. She nearly died three years ago from lymphoma before making a miraculous recovery. Though some of her songs deal with mortality, she insists her illness was not the inspiration for Personne d'Autre. Pasqualini says Francoise Hardy is part of France's cultural and musical heritage.In other words, she's a sort of national treasure. But Hardy says she's not sure why she's had such long-term success. All she knows is that a beautiful song makes her feel as if she's coming out of herself and touching something divine. "It's only that I cannot resist the temptation of a beautiful melody," she says. "It's one of the things which make me really happy, and if a musician offers me a beautiful melody I cannot resist."